Eat Your City: Cheese Factory Edmonton, AB - back again for the best poutine, fresh squeaky cheese curds and cervapi in Edmonton! 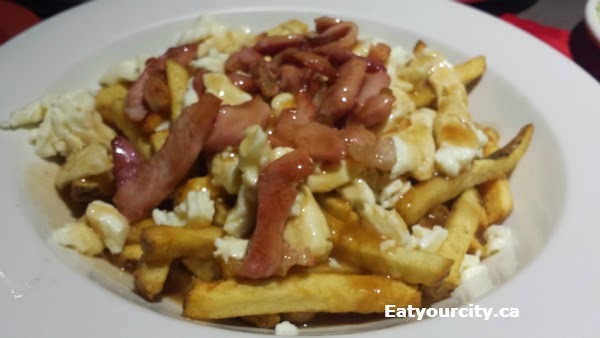 Cheese Factory Edmonton, AB - back again for the best poutine, fresh squeaky cheese curds and cervapi in Edmonton! 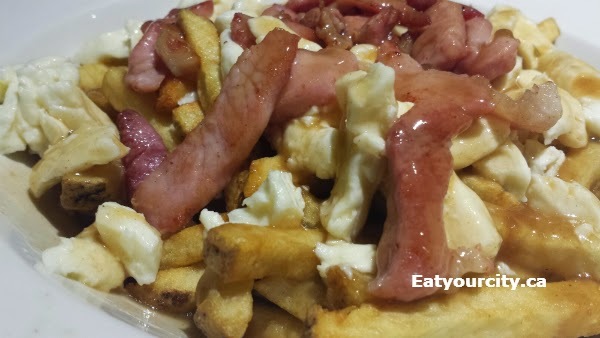 Posted by We were craving something savory, something salty and we ended up back at the Cheese Factory for the the best poutine, fresh squeaky cheese curds and cervapi in Edmonton! We've been here lots - have noshed through most of their menu, and here are some past posts: Galvaude poutine and cervapi, and a lot of their menu tried here! Onto the foooood! 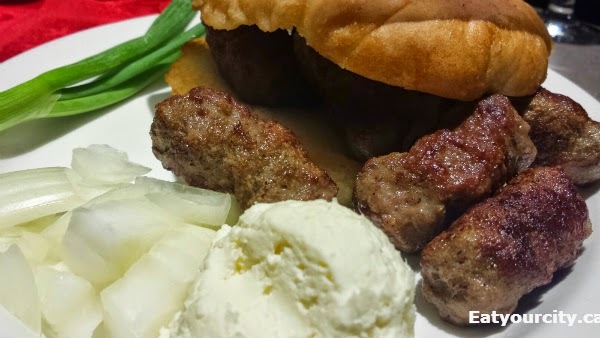 We went with everyone ordering a Serbian Cevapi (the current family owning the restaurant is Serbian), my absolute favorite item at the Cheese Factory.The grilled homemade fingerling sausages are always piping hot and juicy tucked into the freshly baked slighty sweet and tender-chewy traditional flatbread. And I'm always tempted to bring home a container of kajmat - its the little ball of amazing whipped buttery cream cheese like spread (made in house) that's soooo good! Don't forget some diced sweet onion! Mmmmmmmm! 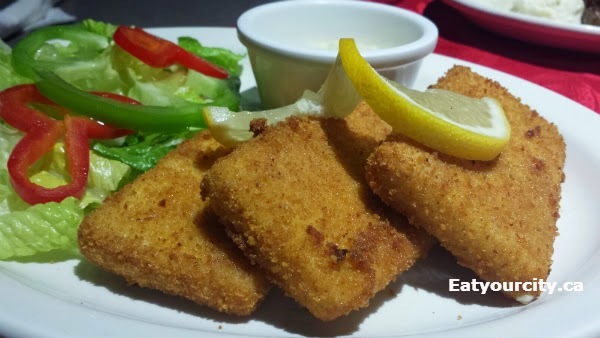 Lightly battered with breadcrumbs, the cheese is fried to an ooey gooey nomnomnom. 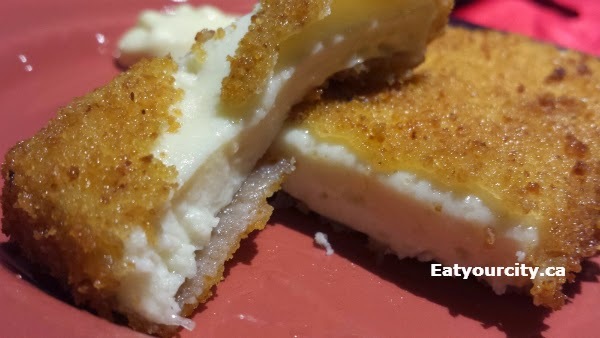 The bread crumb crust is superbly crisp and golden brown, while the center is a slightly molten warm bite of very mild young white cheese. This is fried slabs of golden happiness! Why have I never gotten around to trying this?! Oh right, stomach real estate is limited. So glad we did! 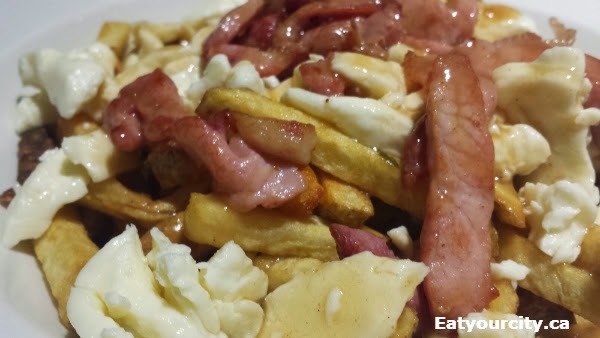 There's a generous heap of moist lightly smokey ham like bits of yumminess topping a ridiculous amount of freshly made in house cheese curds, gravy and fries hot from the fryer. Nom. Overall, the best place in the city for poutine, fried cheese and delectable Cevapi... so go, indulge in a cheese-happy haven.. and buy some of the freshly made cheeses to take home too! 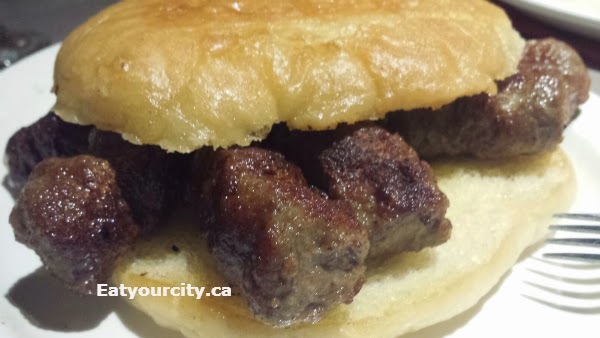 Have to try it out............. but Kafana on 95 st does make a mean cevapi too !